The long stretches of desolate road and wide-open spaces of the Wild West have been luring the curious, the dreamers, and the nature enthusiasts since nearly the birth of America. 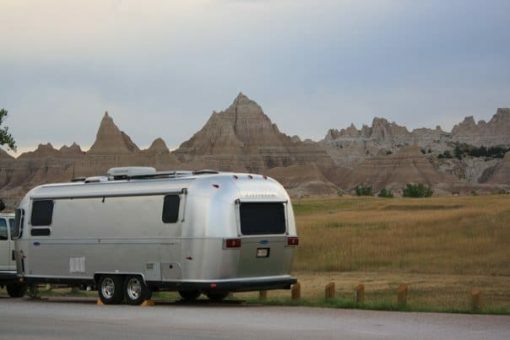 Each summer baby boomers and the retired escape the ordinary by hitting the road to experience the open frontiers—but most likely they’ll pull over for more than just that. The absurd and quirky roadside attractions of South Dakota have epitomized all that we love (and sort of hate) about the tempting call of the west. Quirky, obscure, and usually over-the-top big, one thing is certain: whether you’re cruising on a Fat Boy or in a Winnebago, you can’t help but to stop. 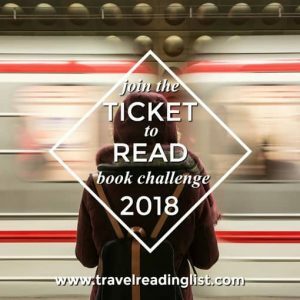 I could tell you not to, but you will. I did. We all do. In its own bizarre way, it’s worth it. What is Wall Drug? 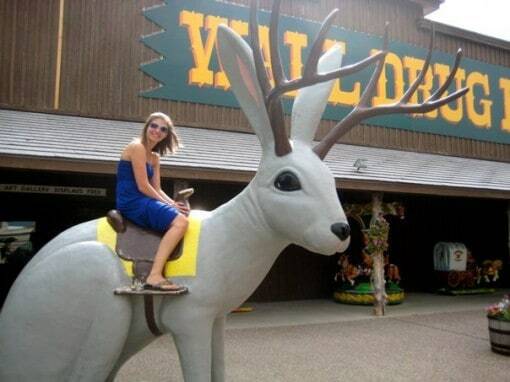 What isn’t Wall Drug? 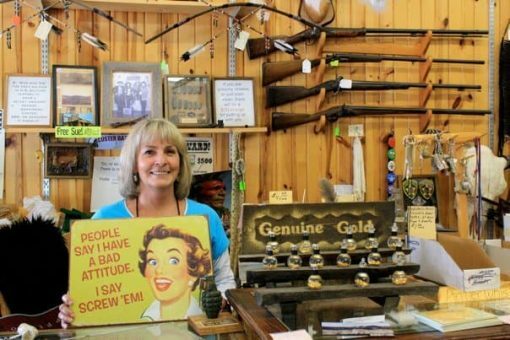 It’s located in Wall, South Dakota and coins itself as “America’s Favorite Roadside Attraction.” Get anything from bobble heads to boot spurs, and see anything from banjo-playing dummies to a mechanical dinosaur. Can you actually get a prescription filled? That’s a good question. Driving by Wall Drug without stopping just feels un-American. Go ahead, let your kids pan for gold, just don’t let them get their hopes up. Mitchell, South Dakota proudly displays its architectural phenomenon, Corn Palace. It is, in fact, a large multi-use building made of corn: architectural genius or architectural boredom? It’s up to you to decide. Since 1892 settlers have showcased their crop on the exterior of the building to display the fertility of the soil. Keeping with tradition, new corn murals are designed for locals and visitors to admire each year. 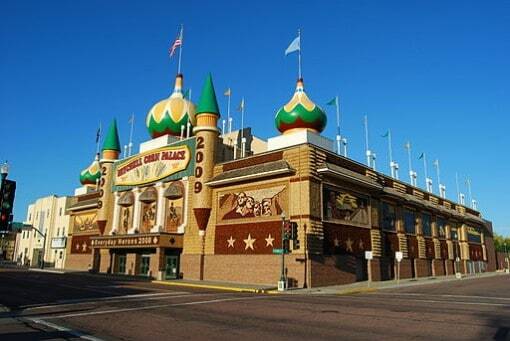 The Corn Palace hosts a variety of events and a corn festival. Besides the excitement of Corn Palace, Mitchell is a sleepy town. After snapping a few shots of the murals, there’s not much else around. Conveniently, a small casino sits across the street. I suppose if you stop, you may as well make a donation. 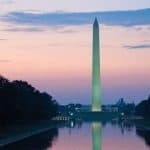 Americans may not think Mt. 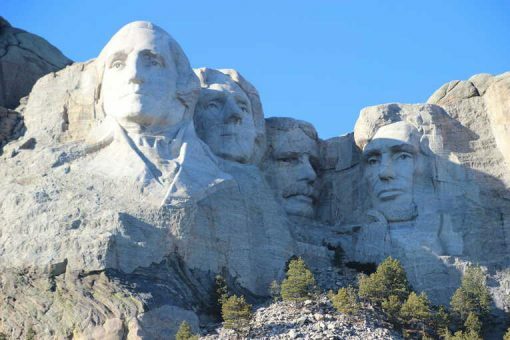 Rushmore National Memorial is a quirky roadside attraction, but when the idea was pitched to sculpt four great American presidents’ faces into the side of the granite Rushmore rock, the idea must have sounded a tad bizarre. 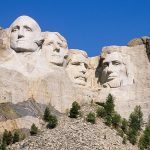 Today more than three million visitors come each year to admire Gutzon Borglum’s world famous sculpture of George Washington, Thomas Jefferson, Theodor Roosevelt, and Abraham Lincoln. It’s difficult to imagine that nearly 140 million years ago, dinosaurs were roaming the South Dakota Black Hills and the incredible Badlands National Park. Dinosaur Park pays tribute to these Jurassic giants with seven life-size concrete and steel reproductions. Kelly green in color and non-threatening in appearance with semi-smiling faces, kids enjoy climbing all over the extinct beasts while parents enjoy the 100-mile views and the Badlands to the east. Four Mile is an old western ghost town in Custer, South Dakota that has been left as is. Take a self-guided tour of 50 homes and businesses, all fully furnished, and see some of the historic relics left behind. It’s cheap, small, and a nice place for kids and photo ops. The owners of the town take their roles pretty darn seriously, too. You may find them sitting around a table playing a game of cards, attired contemporaneous to the time. But don’t expect it to stop there. Their jokes, stories, and colloquialisms will most likely stay true to their Four Mile characters as well. South Dakota has a rich history of trade between the settlers and Native Americans. 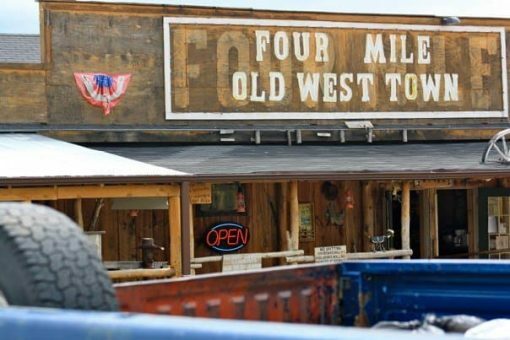 Most trading posts carry Native American arts and crafts, relics of the past, western wear, furs, leather goods, and guns, but don’t be surprised by what you can find. They’re always fun to peruse and often are the main source of income for local Native American tribes. It’s a good place to find an authentic souvenir or conversation piece for your home. 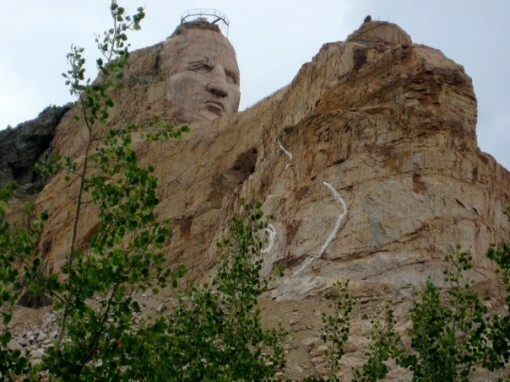 Crazy Horse Memorial is the largest mountain carving in the world, but it’s far from finished. It’s larger than Mt. Rushmore, and is also located in Black Hills, South Dakota. It honors the Native American hero, culture, and living tradition of Native American Indians. Sculptor Korczak Ziolkowski was the brainchild of the project but has long since passed. His family works to complete the mission as first envisioned by their grandfather and Chief Henry Standing Bear. Most admirably, the foundation refuses state or federal funds from the government, as they are the same government responsible for the death of Crazy Horse. The memorial has a theater and large gift shop. It’s an ambitious and incredibly well-intentioned project. 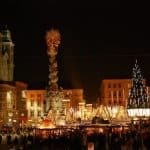 It is a little more costly than seeing Mt. Rushmore, but a percentage of the entrance fee goes toward the completion of the project.